Ahhhh.... that's the sound of my exhalation. After an intense month of writing every day while at the same time prepping the shop for Black Friday, completing the cookbook, and throwing in a bit of art time, I COMPLETED 50,458 WORDS! My first ever NOVEL! I'm just so grateful for the support and encouragement of my sweetheart husband! Now, for six months of rewrite, fleshing out, and juicy research! 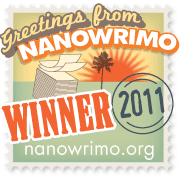 NaNoWriMo during the month of November? Crazy-making. Also owning a shop, I'm smashed with getting ready for Black Friday, next week, six days from now. Bill is painting the 8' characters for on top of our shop. Have I mentioned our giant redwood tree is the new town HOLIDAY TREE! 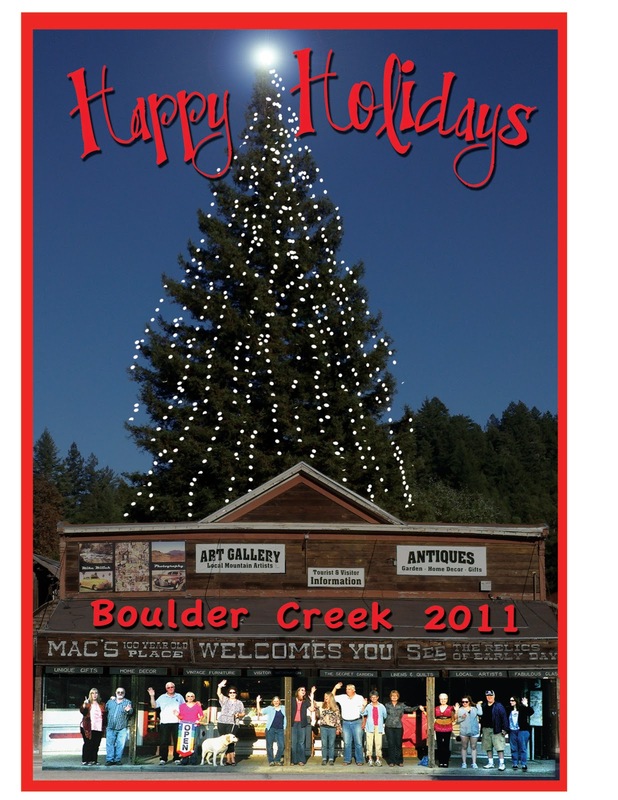 So, this is what I did yesterday... photoshopped a Christmas card. The picture of all the people (our dealers) was very shadowy, taken around 5pm last month. I kept the line of people light, but turned the exposure down on the tree and sky. (Actually, found something Photoshop calls "curve" and it darkened the sky. Photoshopped in bunches of lights and tadaaaa! The real lights will be turned on at 6pm November 25th by Santa himself. All the dealers will be helping the elves to throw the switch. What an amazing, beautiful day to drive up the coast to San Francisco! Deep into my NaNoWriMo novel, I decided I needed to sit and 'feel' the land I was writing about. 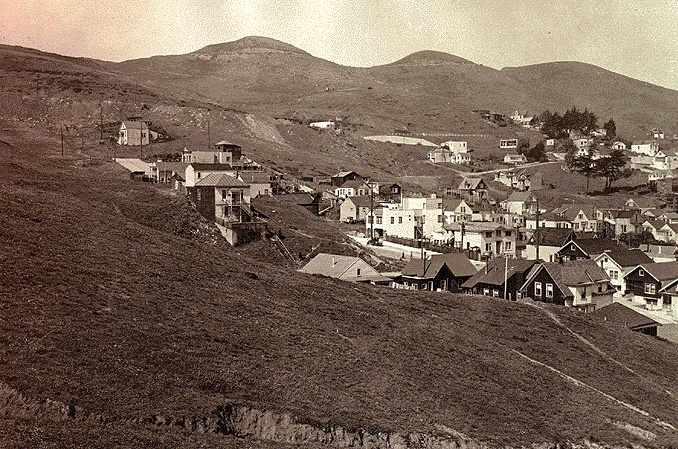 Most of my story is set in today's world, but there are some flashbacks to earlier times, when the Muwekma Ohlone Indians lived in Noe (pronounce no-eee) Valley in San Francisco. Sadly, Fr Paulo enslaved these beautiful, peaceful and loving peoples to build Mission Delores. The Mission's website says over 5000 Ohlone Indians were buried there. So! Why is it I found NO, NONE, NADA gravestones nor plaques honoring those 5000 people? 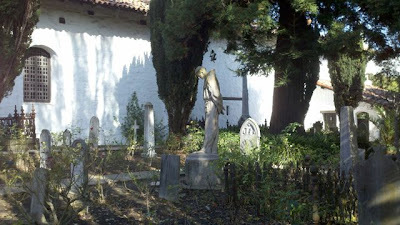 The grave yard was beautiful, full of wonderful flowers and many ornate stones... none for the people who gave up their freedom to build the mission. 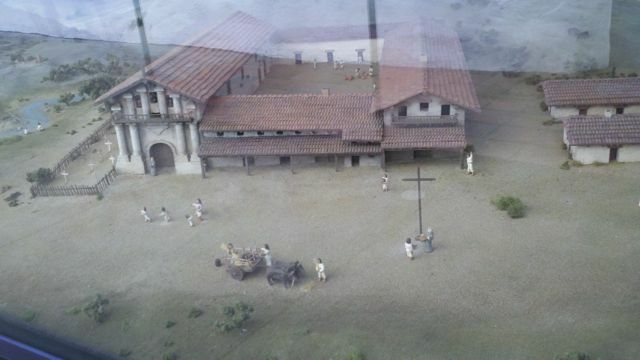 Here's a picture of the diorama depicting the mission's early days. You can see the simple cemetery on the left. (also the river that is now covered and gone. Here is the cemetery today, with beautiful headstones for the Catholic families. 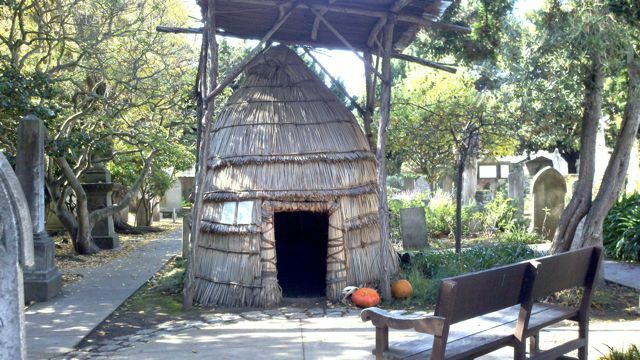 Ok, well, they did put up this one display of what the Ohlone family lived in. Again, though, it was all about the construction, nothing honoring the people whose land was stolen and who were put into slavery. 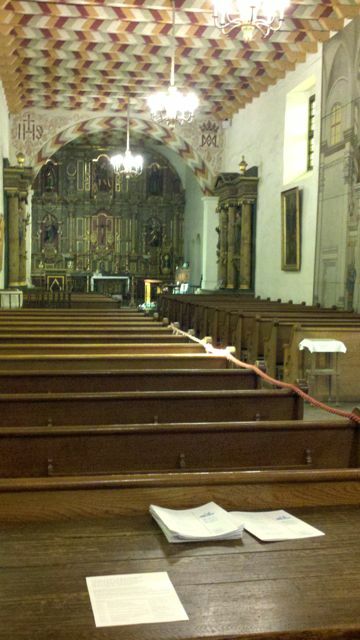 Here is the inside of the original Mission. It's actually the oldest building in San Francisco. Withstood the 1906 earthquake. 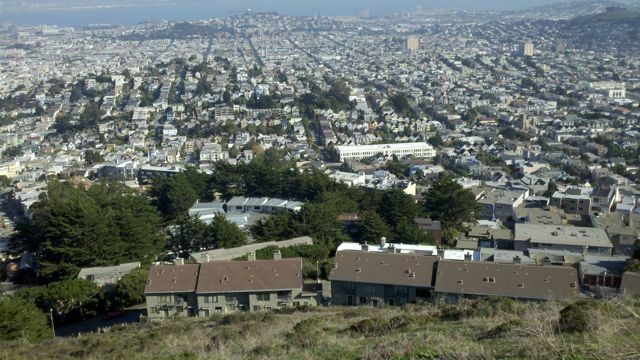 And here is a picture today from Twin Peaks, looking out over part of Noe Valley. 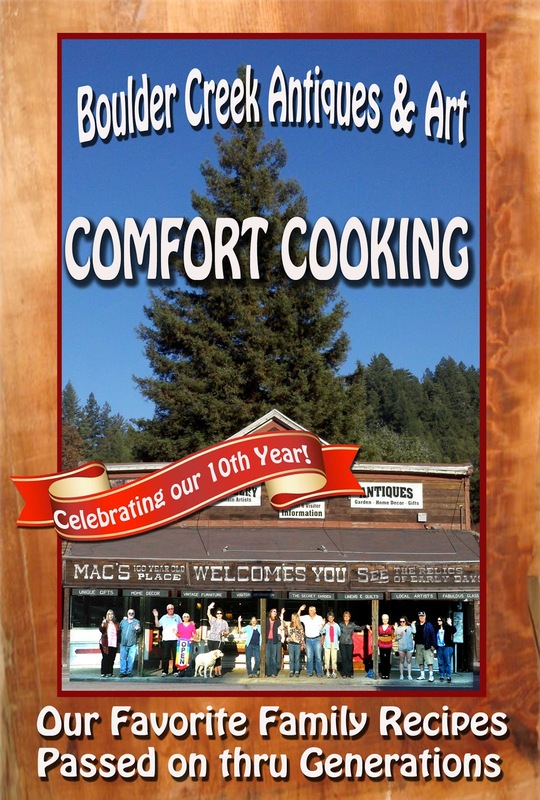 This land was once just rolling hillsides of grasses, herbs and wildflowers. Maybe I'm nuts.... but I hear their spirits, I feel their peacefulness and joy, to have lived for a thousand years or so, on this once, beautiful pieces of land. Here it is around 1890. Please take a moment and tell me your feelings? Can you feel their energy, their spirit? I don't think they are embittered... they just want us to remember. Oh my, that's a huge question I think about often. (I'm also going to be 65 soon.) So, I give my stuff away or make it to sell. (and I sell my stuff cheap!) I just am sooo happy creating little books, collages, journals, to send out to the world. Then I think, someday I'll be gone but some of my "juice" (love, energy, joy?) will pleasure someone else. Once in a while I hit an estate (or garage sale) and can feel the energy of the person who was into their art. I LOVE to purchase their art/tools/gadgets. It makes me feel like I'm part of a larger circle of life. And I know I want someone like me to find my stuff someday. I have a few things I make and keep just for myself, because they give me so much pleasure to look at. Maybe it's silly, but I get some juice out of thinking that someone else will enjoy (or be blessed) by my art. I think, for me, that is the greater motivator, rather than self expression. I totally lost myself for more than a week creating the baby album for my god daughter, personalizing it just for her shower last week. My problem is, I don't think, in fact I know, that my family really doesn't appreciate handmade gifts. Sadly, this reminds me of my godmother's art in the 1960's. Aunti Anne spent weeks creating a HUGE picture of the Last Supper, all in tiny rocks (colored gravel). She gave it to my cousin for Christmas... and it spent it's life hidden behind the couch. I felt sorry for my aunt, she put so much time and love into something that had meaning for her, but her daughter never really "got" it. My aunt also covered a streetcar hubcap in little 1/2 inch tiles and gave it to me as a wedding present 45 years ago. Guess where that is? Yep, front and center on my china cabinet. I love that bowl! This is my very first video! I've got a lot to learn, but I thought it would be the best way to show some of my work. To compliment the tree lighting, I've designed a holiday scene that will be cut out of 8'plywood pieces. At the same time, I'm just finishing up a sweet BABY BOOK for my cousin's baby shower, today! Just have to add some bling. I'll post those pictures tomorrow.